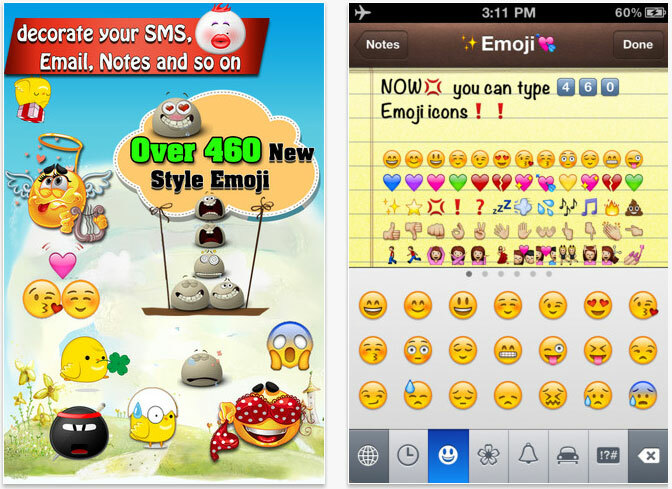 After doing lot of research I came up with this 5 Amazing Emoticons Apps for iPhone. 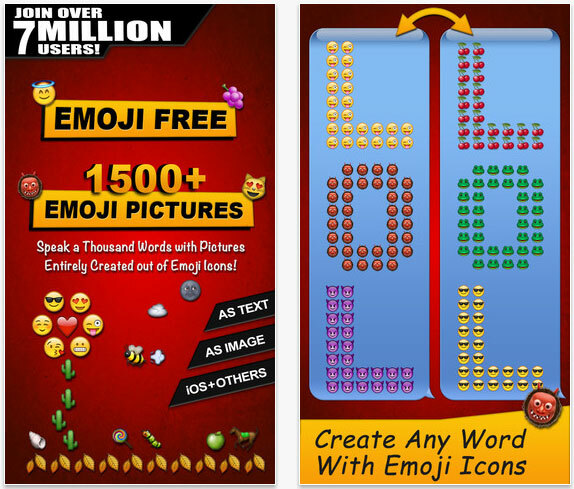 In this collection, the top four apps are free to download the fifth app is the paid app. It's a FREE app and is compatible with iPhone 3GS, iPhone 4, iPhone 4S, iPhone 5, iPod touch (3rd generation), iPod touch (4th generation), iPod touch (5th generation) and iPad. Requires iOS 4.0 or later. It's a FREE app and is designed for both iPhone and iPad. It is compatible with iPhone, iPod touch, and iPad. Requires iOS 4.0 or later. 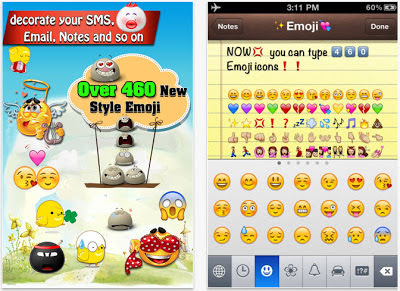 It's a FREE app and is compatible with iPhone, iPod touch, and iPad. Requires iOS 4.3 or later. It's a FREE app and is compatible with iPhone 3GS, iPhone 4, iPhone 4S, iPhone 5, iPod touch (3rd generation), iPod touch (4th generation), iPod touch (5th generation) and iPad. Requires iOS 4.3 or later. This app is optimized for iPhone 5. It's a PAID app and is compatible with iPhone 3GS, iPhone 4, iPhone 4S, iPhone 5, iPod touch (3rd generation), iPod touch (4th generation), iPod touch (5th generation) and iPad. Requires iOS 4.3 or later. This app is optimized for iPhone 5.